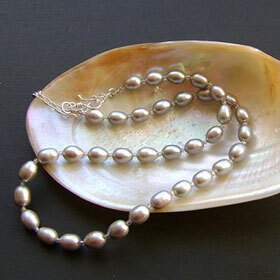 Lustrous, smooth, superior quality cultured pearls in a sophisticated platinum grey, just like molten silver. This necklace blends beautifully with pastel tops, yet changes tone when worn with bright colours. 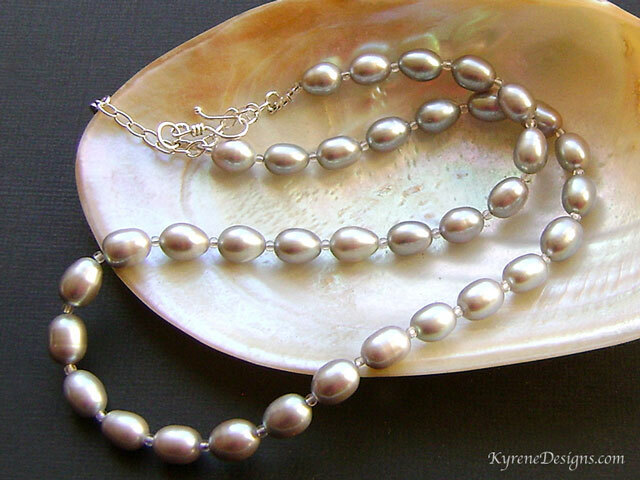 Silvery beads add a tiny touch of sparkle. Length: 17 inches. Pearl 8-9mm. Easy to use sterling silver hook clasp, plus 2" extender. Permanently dyed. Strung on highly flexible jeweller's wire.